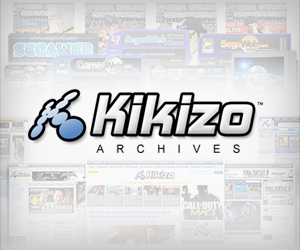 Kikizo looks back at the events leading up to the delay this week of the release of the PlayStation 3 in Europe. This week's delay of the launch of the PlayStation 3 in Europe was the natural conclusion to a situation that spiralled out of Sony's control. The company is sticking to its plan to release the new console in Japan and the US in November, both of which will be much smaller than Sony would have liked. That won't help put a PlayStation 3 under your Christmas tree this year. How did we get here? Join us, as we take a look at the events leading up to the delay. May 2005: This is where it all began, at the Electronic Entertainment Expo, where Ken Kutaragi formally unveiled the PlayStation 3. The world gasped at the promised power of the Cell processor, the expansive space gifted game designers by Blu-ray, and the horror that was the prototype PlayStation 3 controller. Sony wrote a massive cheque with pre-rendered footage from games such as Killzone 2 and MotorStorm. It remains to see whether that cheque will bounce or not. Meanwhile, Kutaragi reaffirmed that the PS3 is a computer and not a games console. June 2005: Shortly after E3, the talk started to turn to price. 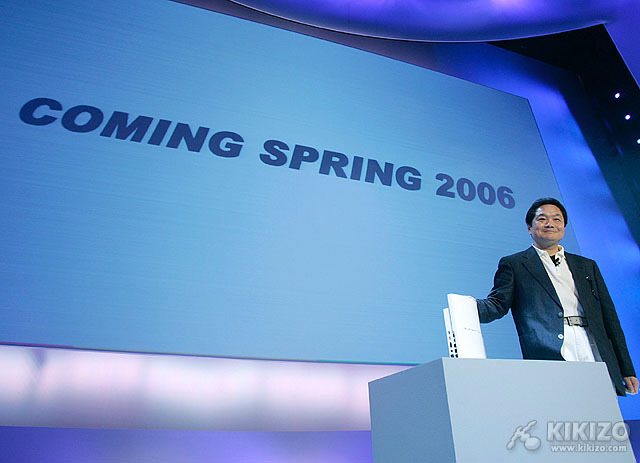 Sony was coy, but it did warn repeatedly that the console would not come cheap, and at one point Kutaragi even went as far as to suggest that people work harder to afford it. Sony's European boss said that Microsoft's going first in the next-gen race would have little overall effect. July 2005: While Kutaragi again warned that Sony's new console would be expensive, Microsoft scored something of a coup, signing major Japanese game developers to make exclusive games for the Xbox 360. 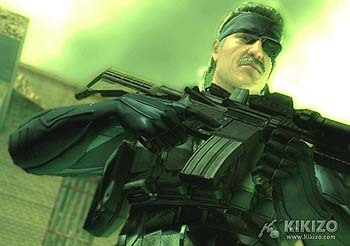 August 2005: Metal Gear creator Hideo Kojima revealed that Metal Gear Solid 4 would make an appearance at the Tokyo Game Show, to the delight of series fans around the world. Meanwhile, talk pointed to the rest of the show being something of a bust for showgoers, with no playable games in the offing. September 2005: With Microsoft announcing that the Xbox 360 would come in two bundles, Sony was quick to jump in and condemn the move. The company said that it would not be taking the same steps when it came time to launching the PlayStation 3. October 2005: Sony said earlier in the year that the PlayStation 3 would play back the full catalogue of PlayStation and PlayStation 2 games, but a company representative confirmed that there could be a few stragglers. Backward compatibility seemed much less of an issue than for Microsoft. Ken Kutaragi also got message boards humming with his comments that the PlayStation 3 would support games at 120 frames-per-second - current games struggle to hit 60 fps consistently. November 2005: Sony stood out of the spotlight for a bit as Microsoft launched the Xbox 360 in the US. Many hoped that Sony would learn from Microsoft's problems handling a global launch and take a cue on how not to do things. The console launched days later in Europe and Japan. December 2005: With the Xbox 360 becoming harder to find, Sony reiterated that it was on track to release the console in spring in Japan. Sony's Phil Harrison also got tongues wagging by baiting Microsoft, saying that the true high-definition era began once the PlayStation 3 arrived - mostly because the Xbox 360 lacked a high-definition drive and was capable of 1080p resolution. Ken Kutaragi took another stab at Microsoft, saying that the first-mover advantage amounted to little.